Really nice SC type guitar finished in ever popular Lake Placid blue, with exacting attention to period detail. 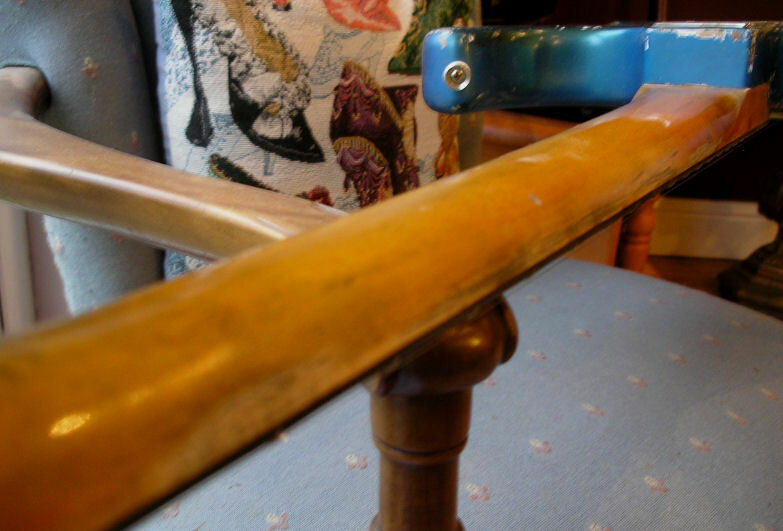 The body is handmade two piece alder (not centre joined), a maple neck with curved joined fretboard, the fretboard is actually ebony but stained to look like brazilian rosewood. Let's continue with some pictures with further description. 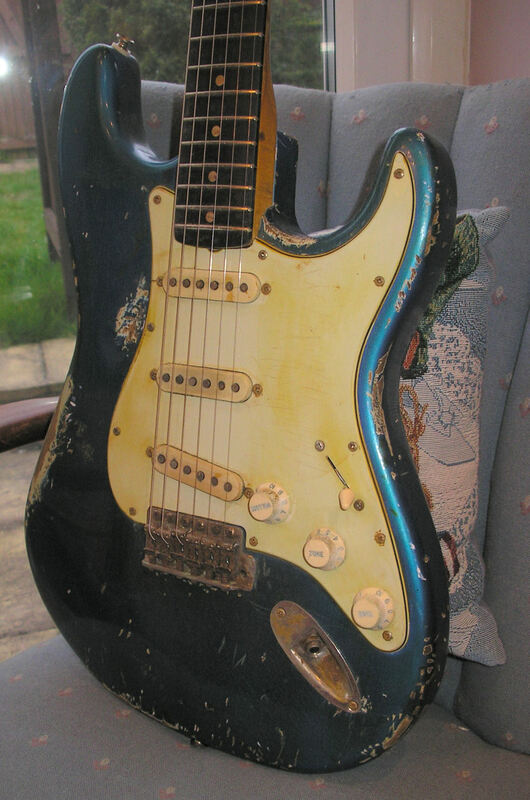 Quite beaten-up I suppose but I don't think overly so, all the hardware is genuine Fender where possible. Close up of the body, lots of rusty bits and aged plastic! 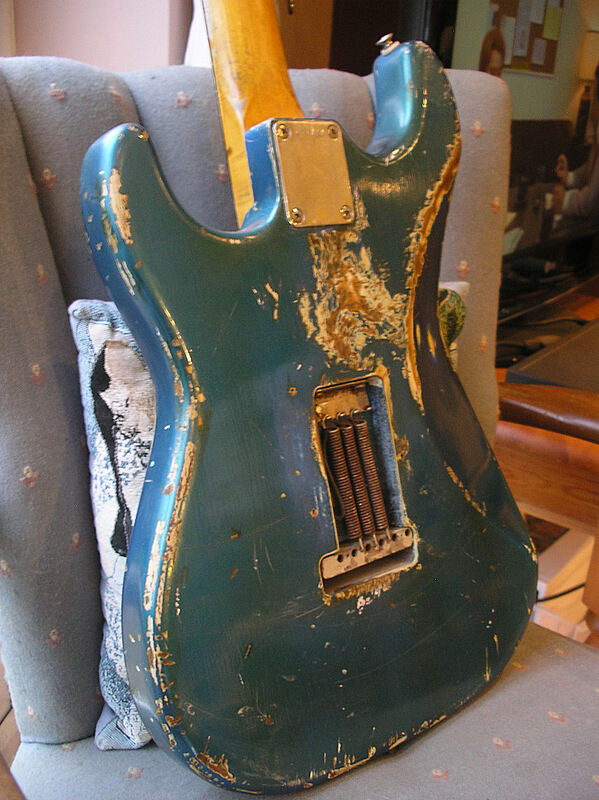 The Lake Placid blue has some typical "greening", the bridge saddles are "pat pending", notice the aged green numbers on the knobs and homemade clay dots. 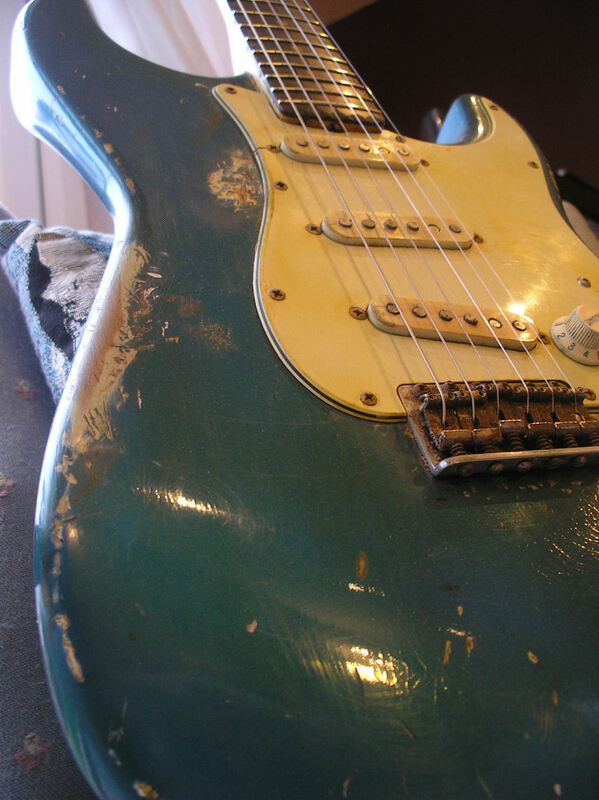 I've always loved the look of aged Strats in this colour. Close up of the paint showing the realistic craze cracking, this is one of two bodies I finished a few years ago, I confess that nature alone did the weather checking so it is totally natural. The paint of course is nitro cellulose with a white undercoat, I've seen both silver and white used on LPB, also notice the wear on the end of the fretboard. 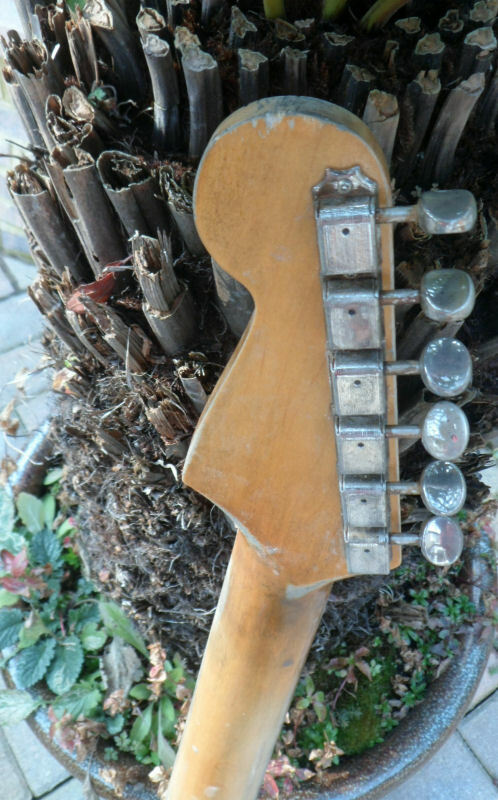 Again a good view of the weather checking, aged trem details and there is an L series serial number. Double line Kluson tuners and neck wear. I hope everyone likes it, I'm well pleased with how it turned out in such a classic colour just waiting for a new owner to give it hell on stage! I guess I should mention the pickups which are custom wound by Dawgtown in the USA, vintage specification with a nice amount of warmth, coupled with the "rosewood" fretboard this guitar is versatile and would be great for blues and rock . Other specifications include a full shielding plate, all cloth wires and CTS pots.